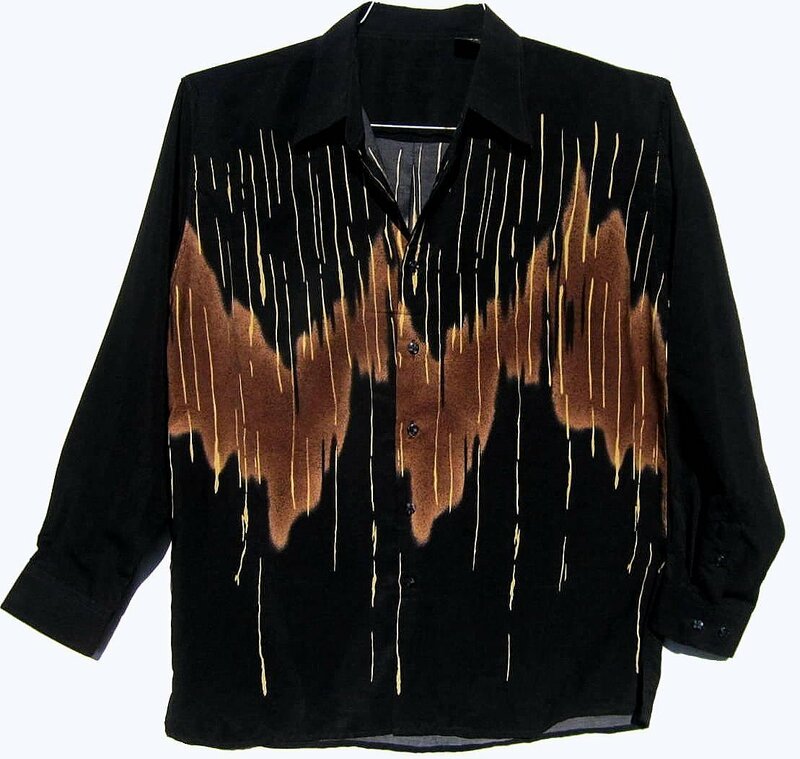 This unusual shirt has a medium to light brown audio type wave of color across the middle. The shirt is splatted with banana yellow drips. It would look great with yellow pants. The fabric is a thin flat polyester with no stretch. It is a medium weight; not too hot. It is 50" around at the armpit level for a normal 46" fit. The shoulder is 22" and the Sleeve Length is 34.5". I have some bright yellow 80s pants that would match this if you can't find yellow 70s ones. The shirt is machine washable inside out on gentle or hand wash. Hang dry. Dry cleaning is fine as well.